(Atlanta, GA) United Turf Alliance announces the addition of two new herbicides to its ArmorTech line of professional turf management products. ArmorTech SULF 396 is a herbicide notable for its ability to provide quick control of sedges and many other weeds. The active ingredient sulfentrazone launches a two-pronged attack against troublesome sedges with above-ground foliar control and tuber interaction below the soil. ArmorTech SULF 396 also provides excellent control and suppression of a long list of other grassy and broadleaf weeds. Offering excellent application flexibility, ArmorTech SULF 396 can be used on established cool-season and warm-season turfgrass and applied in early spring, late summer and fall. The herbicide is labeled for use on golf course fairways and roughs, residential and commercial lawns, athletic fields, sod farms and other areas. ArmorTech SULF 396 is available in 4 x 1-gallon or 12 x 6-oz. cases. ArmorTech TRIONE is a herbicide absorbed through roots, shoots and leaves and offers both pre-emergence and post-emergence control of grassy and broadleaf weeds. It is often used during turf establishment and renovation projects to prevent or eliminate weeds and reduce competition with emerging turfgrass. 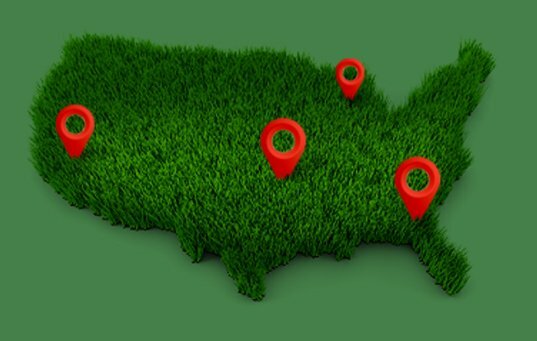 It delivers both pre-emergence and post-emergence control of crabgrass and can be used to eliminate bentgrass growing in unwanted environments. ArmorTech TRIONE contains the active ingredient mesotrione, a naturally occurring byproduct of the bottle brush plant. It is labeled for use on commercial and residential turf including golf courses (no putting greens), sod farms, sports turf and other areas. ArmorTech TRIONE is available in 4 x 64-oz. and 12 x 8-oz. cases. Both ArmorTech SULF 396 and ArmorTech TRIONE herbicides are available from United Turf Alliance members and partners. Always read and follow the label use directions.